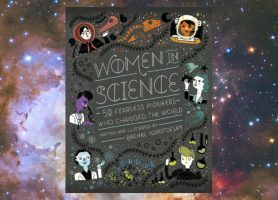 Rachel Ignotofsky, illustrator and author of a book featuring fifty women scientists throughout history, had an interview with mental_floss. In which the Rejected Princesses learn to play Risk. The first female mathematician in recorded history, and one of the luminaries of the ancient world - but her grisly death at the hands of a mob was only the start of her troubles. Ludicrously over-accomplished athlete who invented flying ambulances and won the only gold medal ever awarded by the French Academy of Sports for "all sports" - yes, all of them. Cross-dressing Queen of Thieves who flouted social norms and had plays written about her.